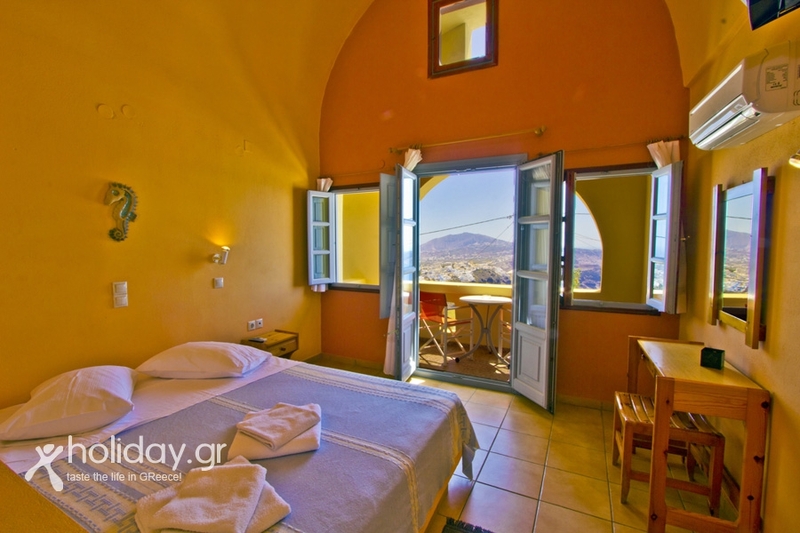 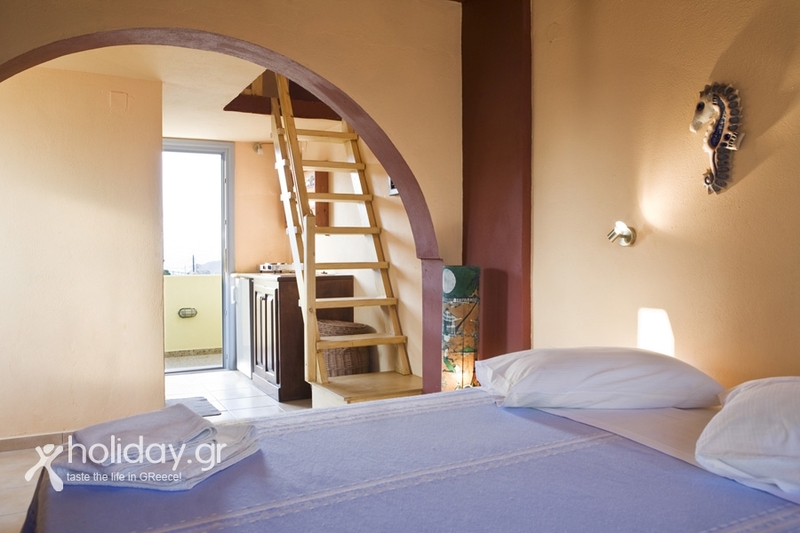 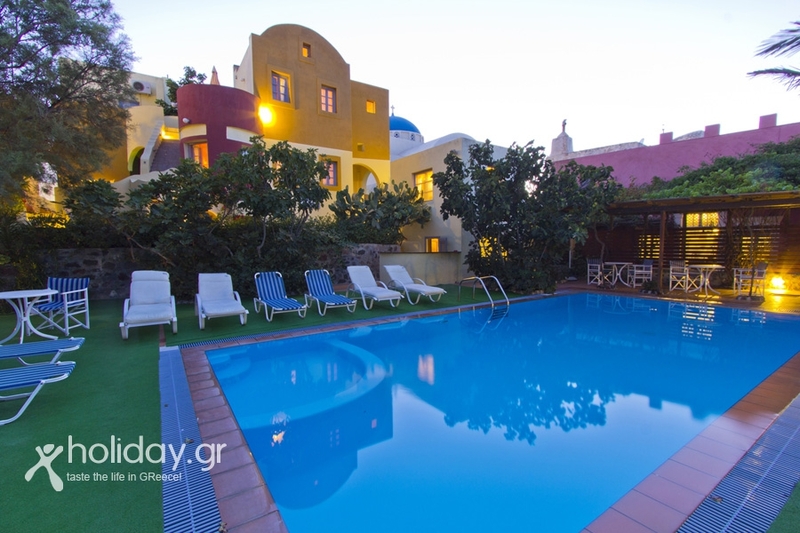 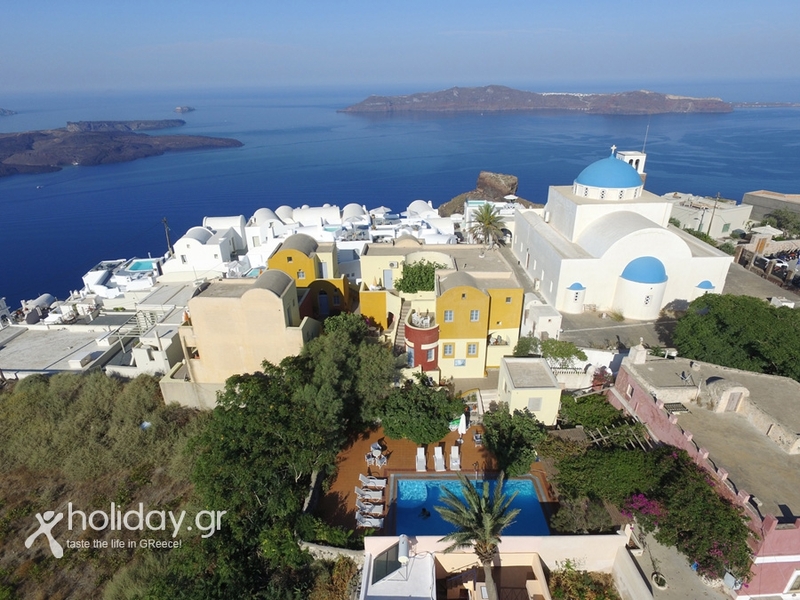 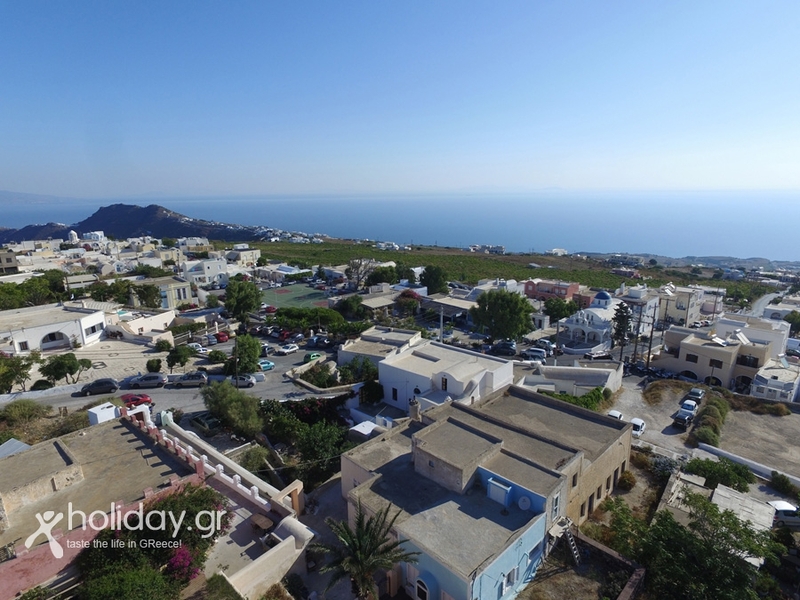 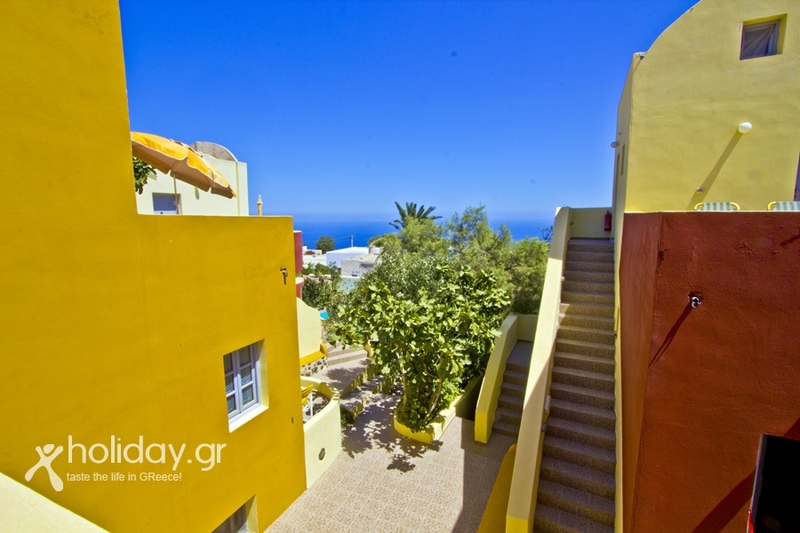 At the highest top of Santorini on the cliff and at the most quiet area of Imerovigli, just 1 mile from the center of Fira, are located the Merovigla Apartments, offering a magnificent view to caldera, the volcano and all of the island. 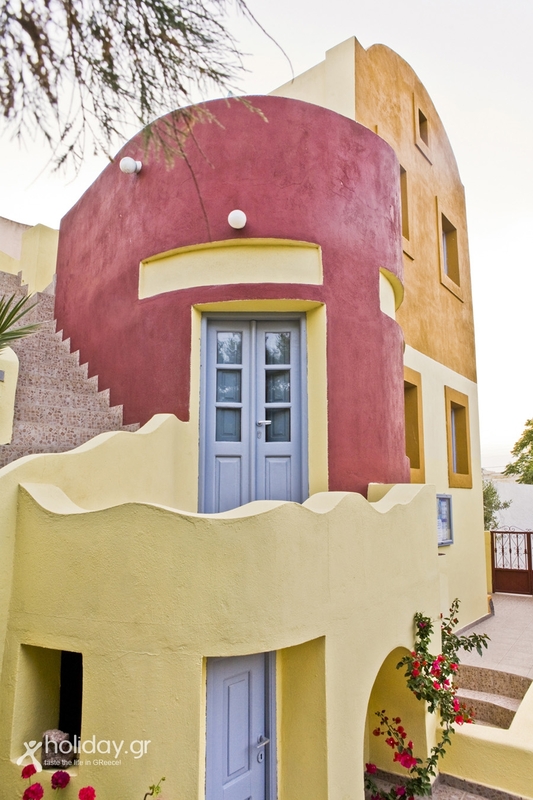 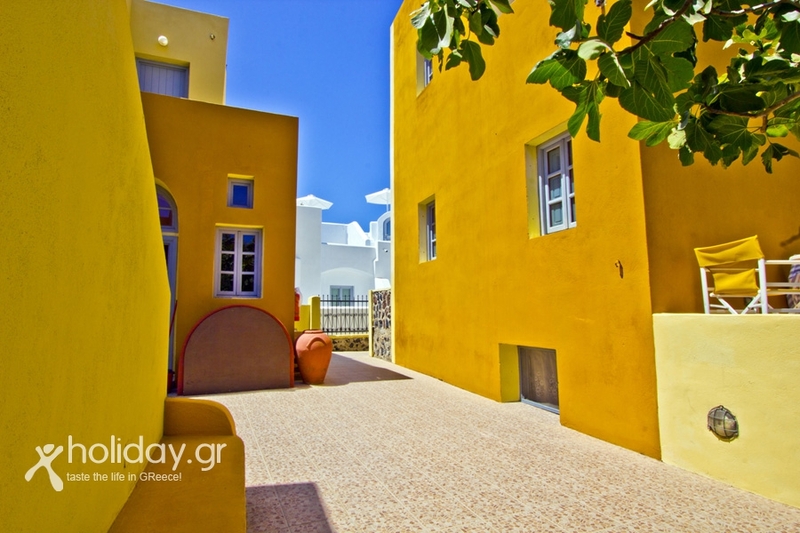 Respecting the traditional architecture, colours and shapes are combined to create the real image of a unique island. 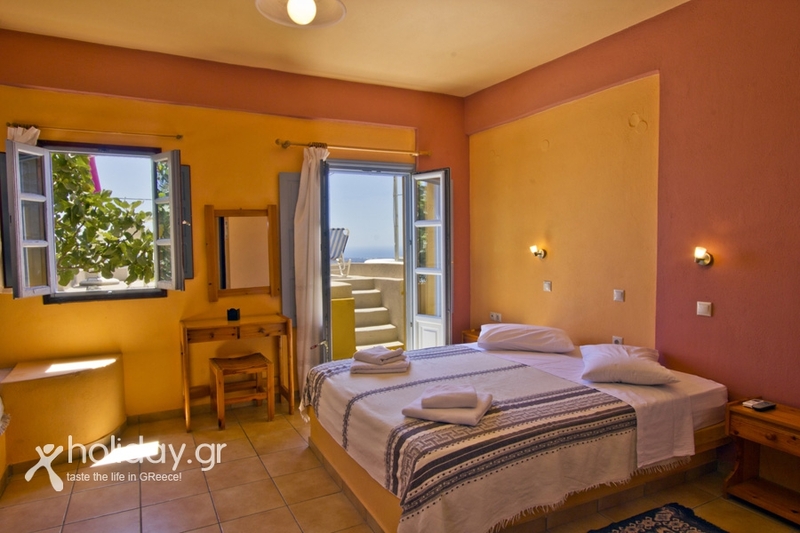 Each apartment(35-45 cm2) offers modern facilities as television, telephone, fully equipped kitchen and refrigerator, and it is decorated traditionally, with its own balcony. 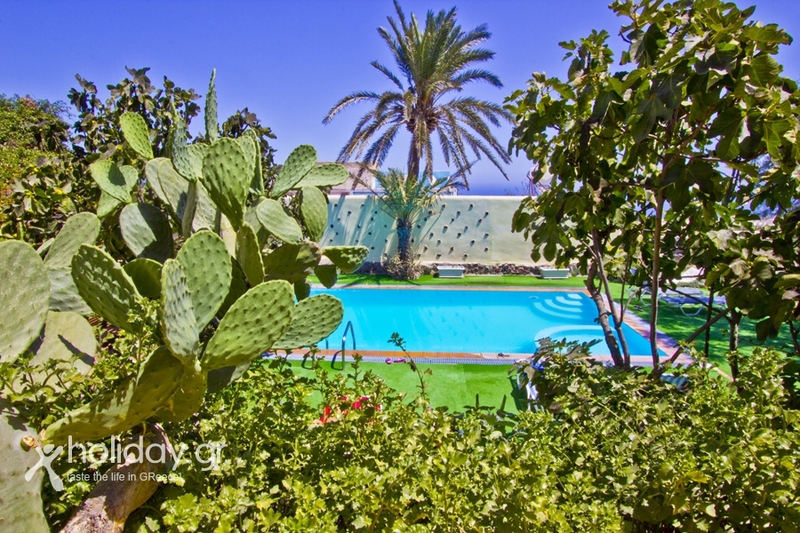 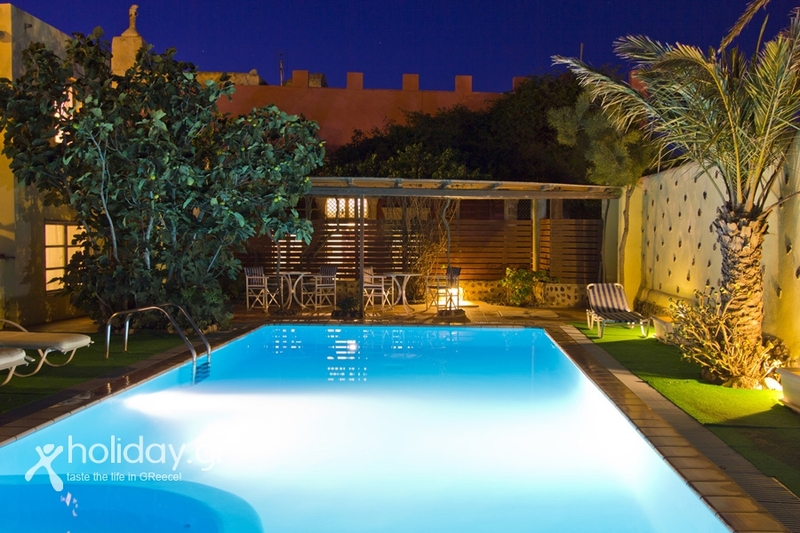 The swimming pool and the pool bar are in the middle of a garden full of trees and flowers. 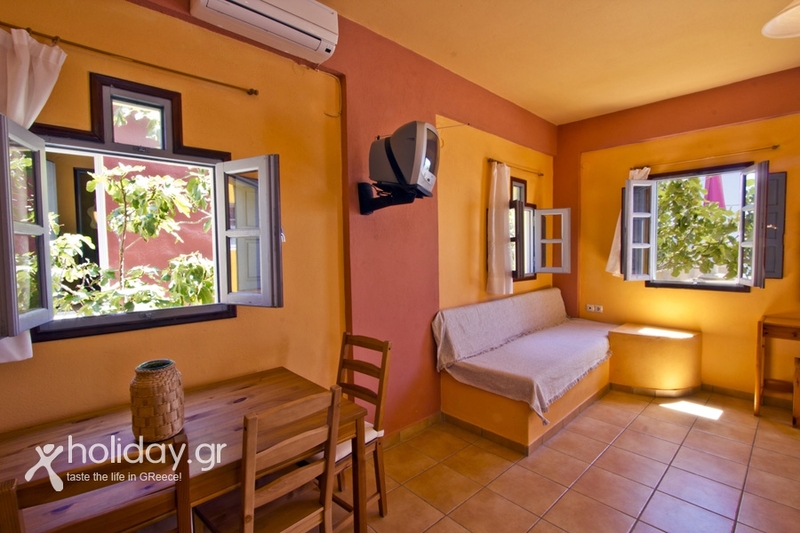 We also provide daily room service and free internet access. 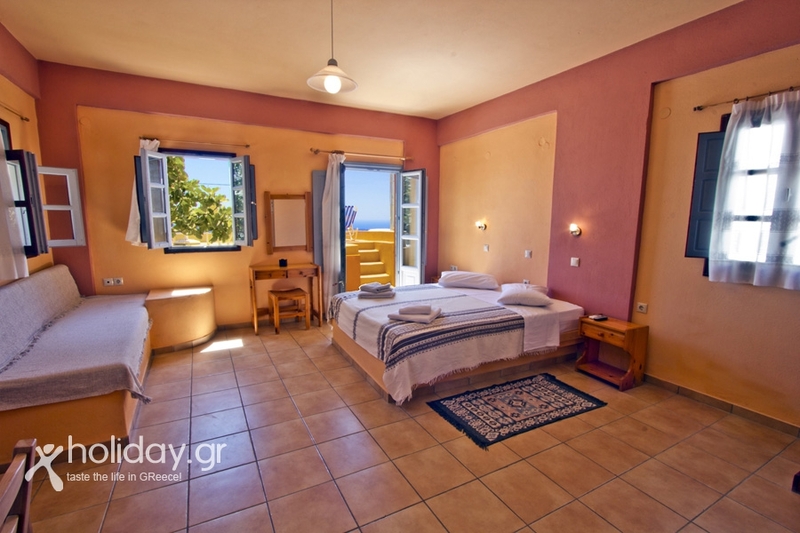 Breakfast (coffee or tea, juice or milk, bread, butter, marmalade, honey, ham and cheese, yogurt and fruit) can be served in your apartment or at the swimming pool.